Great fun and revelry are planned at our house tonight on this hallowed eve. I sit here writing this morning anticipating great merriment with our little monsters, ghosts, skeletons, witches, and devils. 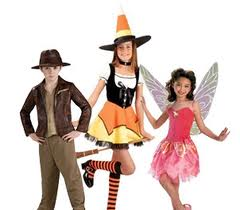 This is our first Halloween in the Munger District where we are told to expect 1000’s of kids. I think we are ready. 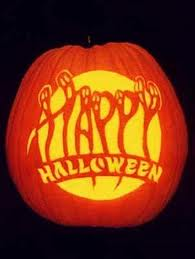 Come and join the fun on Worth Street, but do bring a bag of candy. 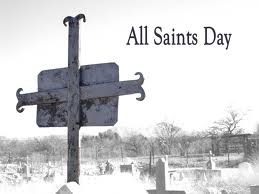 I am also reminding myself on this day that this is the eve before the remembrance of all saints. Ancient pagan traditions thought that on this day the natural and supernatural worlds were nearest in actual proximity. Thus, by the 12th century, Christians thought this was the time to thank God for those who had passed to the other side because of this assumed metaphysical closeness. I too will draw a little closer today and this week to those who have gone before me to dwell in places only eyes of faith can see. I am always struck when I list their names of the difference between saints and celebrities. Our celebrities busy themselves branding their name on our culture; saints busy themselves branding the marks of God on this world. A celebrity cannot be anonymous, but few of you would know my saints, nor would I know yours. I may have to keep my distance from a celebrity, but I share a common ground with all my saints. I will be laughing with joy this evening at the cute kids and awkward adolescents dressed as spirits and superstars they will never intimately know in their lives. I also smile on this day thinking of some names of people whose living and dying drew me closer to them and God. I thank God for ordinary folk who help us see we can live in an extraordinary way if we can trust the source of life comes from beyond us. 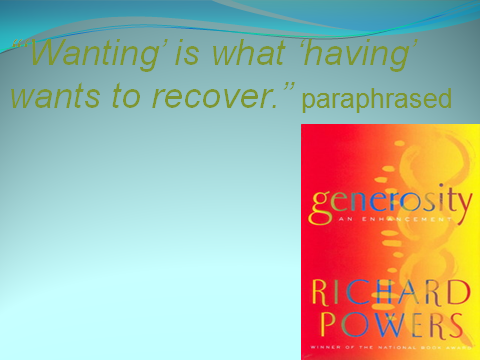 Wanting’ is what ‘having’ wants to recover. When we have what we want, we miss wanting, which fueled our need to have. It’s an endless cycle called buyer’s remorse, which happens after we purchase something we thought we wanted and realize what we gave to have it. Happiness can be equally elusive when it is seeks only the collection of goods or success. There’s no such thing as giver’s remorse. A generous spirit keeps on giving; both to the receiver and the giver. The key to happiness isn’t what we receive or achieve, but in what we give. 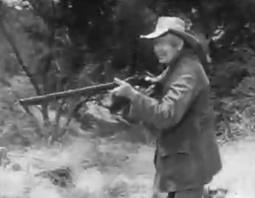 Jed Clampett seems to know this is true. Click here to see Jed’s way of understanding how generosity is never exhausted. God is generous by nature and shows it by showering us with grace and bountiful goodness. God wants us to know there is always plenty. There’s not a scintilla of stinginess in God. Holding, hoarding, possessing, and protecting aren’t in the divine nature. Jesus entered the world acting on behalf of his generous Father. He didn’t arrive and say, “Whoa! We’ve got lots of undeserving sinners here. We have to be careful in doling out divine favors.” Jesus, like the Father, gives and gives and gives—loving the world to death in order to love it to life. That is the nature and character of God. The best practices of children of God stamped with the image of God are to reflect God’s image by demonstrating the generosity of God’s character. We will behave in this way if we’re persuaded there is plenty. The eulogy test is a good test: “What will my practices cause people to say at my funeral?” Will they say, “He was so careful; sparing little, but wise in saving”. Or, might they say, “She never hesitated to give anything she had for the well-being of others.” There will never be enough if our lives are about the collection of material goods and the pursuit of successful experiences. There will always be plenty if our lives are marked by generous giving that reflects the nature of God into the world. Paul’s appeal to the Corinthians to practice generosity toward famine-stricken sisters and brothers in the Jerusalem is framed within the context there is plenty. Paul, like all predecessors of plenty, is convinced God is generous; he urges others to exercise generosity. 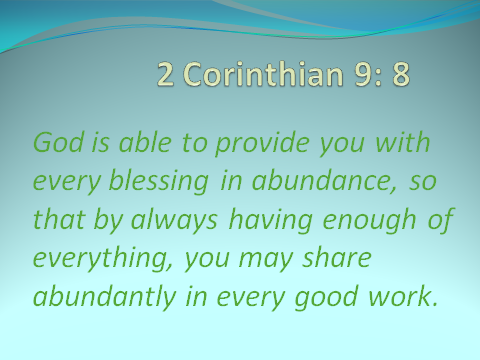 Verse 8 says, God is able to provide you with every blessing in abundance, so that by always having enough of everything, you may share abundantly in every good work. The verse doesn’t say we will have more than enough; turning the generosity of God into a get rich scheme by invoking the name of God. It says we will have enough of everything, so we can be generous as God is to us. Predecessors of plenty celebrate the abundance of God’s generous nature in providing all they need by willingly offer generous gifts. 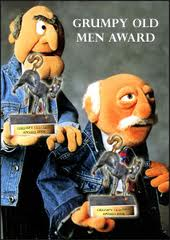 We don’t have to have lots of money; thinking if we had Jerry Jones money we would be generous. Eugene Cho lives in Seattle with his wife and three children. He says his family is middle class with privilege that many do not have. He has always been aware of disparity in the world. It was traveling and seeing the faces and hearing the stories behind the numbers that his family made a decision to start One Day’s Wages. This is a day of deciding about what are going to be our practices regarding the plenty in our life. Our ability to pledge generously is directly linked to our self-assessment of our blessings. I want to suggest developing three practices that can breed an attitude of plenty. These are helpful even if we are not ready to pledge this morning. If we intentionally fixate ourselves on these habits for the next ninety days our awareness of blessings of plenty would significantly grow. 1. 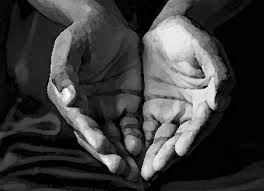 First practice is to offer one gesture of generosity a day. It’s not about money; it’s about spirit. Each day look for ways to give compliments, write notes of thanks, or offer aid unexpectedly to someone. These practices create habits of giving. Kindness chips away at the myth of scarcity, which keeps us thinking there’s only so much of any or everything to go around. There are always occasions to share with another. Every time we build someone up, we grow taller. Allow practices of small signs of love cultivate a greater generosity in our lives. 2. Second practice is to offer one monetary gift a day. Eventually it is about the money. Be mindful to avoid the pitfall of the mindless no, which misses chances to say a generous yes with a daily gift. 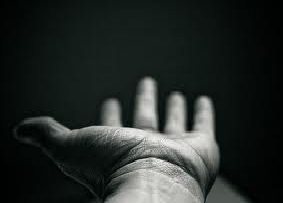 Imagine what would change if for the next ninety days if we committed to the practice of being monetarily generous once a day with the waiter at restaurant, the homeless man standing on the corner, the school kid selling candy, or the extra offering being received. The reason we pass the plate is to provide a weekly opportunity to practice saying yes toward becoming a more generous person who reflects the image of a generous God into the world. 3. Third practice is to develop a plan to offer yearly generous gifts. We spend time and emotional energy planning our spending, saving, debt management, and retirement funds throughout each year. How much time do we spend dreaming and scheming about giving during the course of the year? When we take the step of making it our daily practice to offer generous gifts, we have taken big steps toward reflecting the nature of a generous God. Eventually we are going to need a broader generosity plan. The best plan is God’s tithing plan. 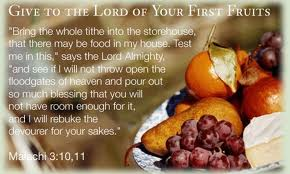 I encourage you to make a plan this year to tithe or step toward the tithe in 2012. Some of you who have made plan to go beyond the tithe, because 10% did not satisfy your longing to give. A generosity plan happens because people choose to believe there will always be enough because they trust in the generous hand of God. Predecessors of plenty did not just wake one day as generous people. They made an intentional decision to trust in the hand of a generous God; igniting plans to practice generous giving. Over the years, they adopted practices of humbly offering gifts to benefit of others. This church was built by people whose names we might not ever know; but helped this place reach beyond their dreams because of their practices of generosity. The fact only a few of us know their names is fine with these generous saints. They did not seek recognition, influence, or expecting anything in return. They did not give to feed their need to be someone. They simply relished in the joy of giving because they sensed they were shining the light of God into a dark world;. The more of us at First United Methodist who practice generosity that looks like God’s generous ways; the better we will reflect God’s image into our neighborhood and world. I am learning some lessons around the dinner table that are helping me learn at the altar table. Terri and I have started sharing an entrée when we go to eat. This has been a small test of plenty. The other night when we ordered a single entrée and salad I was worried if it would be enough. It was more than enough. The less anxious I am about plenty in my life, the more likely I am going to be able to practice generosity in my life. We been bred to be generous since we are made in the image of a generous God. It also takes good grooming to develop the life of plentiful living by practicing habits of generosity so we might better reflect the image of a generous God into our world. We become more like the child God fashioned when our practices of generosity meets real need. Nothing will make you happier in life than to become the generous person God created. Lewis Center Leading Ideas: Fast Forwarding Your Church’s Community Engagement. First Methodist Irving, please read this wonderful piece that captures our necessary conversation. Let’s keep talking about how we can engage our neighbors. I became aware of your ministry last night while watching Channel 8 news. Click on this sentence to go to the link where you can watch the news story. In the interest of fairness, I did review your website. I thank God for the wonderful ministry you offer to our community. I commend the way you have crossed usual boundaries created in many of our homogeneous congregations. I hear a clear call for serious discipleship in all you and in Pastor Jeff’s sermons. 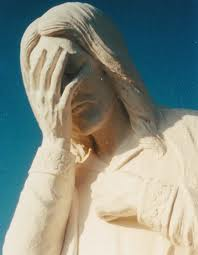 I can imagine how lives are changed in your Connect groups.My stomach sickened as I watched a reporter paint the Christian faith in ways that was in-congruent to my sensibilities. (More about that later.) I regret I was unable to access the entire text of the message or the whole of the service. Perhaps you felt the same as you saw the televised report. I too am a huge sports fan. I too have forgotten the principles of my faith in the midst of my fan mania. I am not casting the first stone. I have to speak because my soul was awakened after watching the the feature last night. I kept asking the question, “What is the difference between the faith portrayed by the package on WFAA and a religious leader standing in the middle of frenzied members who are clutching their amulets in hopes their God’s would smile on them?” I realize this oversimplifies all you do, but it still raised the question. I pray the spirit of my letter is not misunderstood. I simply want to essence of our Christian faith to be recaptured. Our world needs to see disciples of Christ offering themselves freely and sacrificially to others without concern for self, because they are people who trust that God knows what to with a life lived like their Savior. May we all portray more clearly the call of our faith that takes up our cross to follow the man of a cross, grave and new life? What we see changes what we do. We act scared when we see scarcity. Something has to change in the way we perceive, before the fear of not enough is overcome. We must know inwardly we are connected to a source that provides abundantly and never runs dry, before we will live and give in plentiful ways. This view of life requires not just information, but inspiration. No amount of information will persuade us that our anxiety is unnecessary. The Holy Spirit inwardly inspires us to see our material and spiritual blessings come from a God who is faithful to give every good gift. Our stewardship emphasis will cast a bright light on our predecessors of plenty. We will review their lives not just for information, but inspiration. I will not try to persuade minds; instead I will pray God stirs hearts. Predecessors of plenty inspire us to offer material gifts to God. Moses told Pharaoh God said, “Let my people go”. Pharaoh refused. He didn’t like losing his slave labor force; there wasn’t a good outsourcing group within 1000 miles. The plagues motivated the Egyptians. The last plague was the angel of death; taking the firstborn male child of all who didn’t place the blood of a lamb on the doorposts of their homes. Pharaoh cried uncle after losing his son, he let the people go. God didn’t want the people leaving empty-handed. They were told to ask for their silver and clothing. The Egyptians were ready to get rid of them; so they gave them plenty of booty to carry into the wilderness. Their wealth and freedom birthed the need for a new way of organizing themselves. Moses issues a state of the union that includes ten new initiatives; giving community and religious life new structures. The people would not have a king; each member of the community would have an equal stake in their lives together; the seedbed for democracy. God was king; they were to earn and give back what was needed to sustain the community. The children of God started out with plenty. God always gave them and us what is needed. In return for the plenty in their lives, they were to participate as equal stakeholders in the community. Therefore, they equally brought their material gifts to build a portable sanctuary and support priests to lead their religious lives. These newly freed entrepreneurs brought their plenty to the temple for the benefit of the community. Each one of us has been blessed with plenty. Some of us are paid to work and have possessions, which we steward on God’s behalf. Some of us have inheritances or accumulated wealth, which we steward on God’s behalf. Some of us have cash, stocks, and real estate; the principle is the same. We bring a portion of what we have to benefit the community. A congregation enabling all to be equal stakeholders mirrors the children of Israel. We’re to organize; acknowledging God is the king among us who gives to us plenty from God’s generous hands. Among those gifts are leaders who help us be responsible stakeholders in the work of God. Each of us are gifts from God-given to each other. The more we behave as if there will always be enough, the more attractive is the Body of Christ, even to those allergic to organized religions. We have plenty! We’ve a great facility to gather, a hardworking staff that looks after holy matters, and stuff that makes ministry possible. You can’t run a car without fuel, a body without food, a business without capital, or a church without funds. We want our church to provide the finest ministry; we can’t expect others to pay for it. Just as we will spare no expense with our houses and kids; neither should equal stakeholders cut corners. We are equally responsible for the flourishing of God’s work among us. People who participate as equal stakeholders trusting there will be enough aren’t tempted to bring material gifts for personal interests. Pet projects threaten the strength of everyone being an equal stakeholder. They erode people’s confidence there will be enough. It’s fine to designate money once we have given to the common treasury. Unified treasury does what it suggests: unifies; builds trust; and fortifies community. 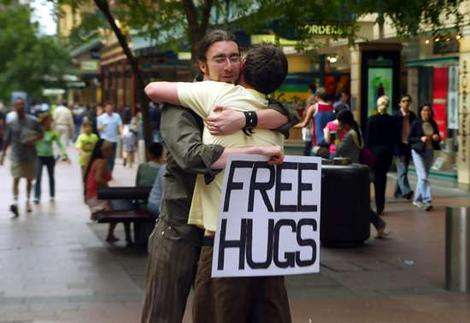 We are trending to a societal approach to giving, where each group promotes its self-interest. Choir members don’t pay for robes and music just because they sing in the choir. 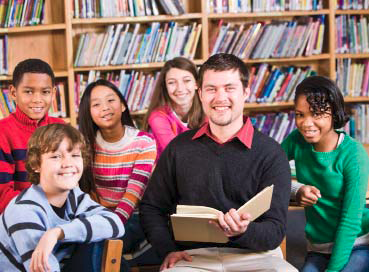 Young adults are not solely responsible for funding the children’s ministry. Take care designating gifts; lest we risk the unity of the church. People who participate as equal stakeholders trusting there will be enough-tithe. The tithe is the biblical mandate for funding the mission of God in the world. 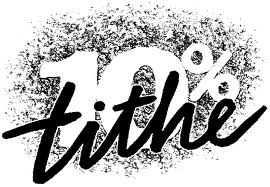 A tithe is ten percent of income; no one is exempt. Sometimes we step up to it; making lifestyle choices that represent a greater faithfulness. Invested stakeholders who are working toward the tithe are people who are on their way to being the next generation of predecessors of plenty. These are people who bring a tithe of their gold, silver, brooches, earrings, pendants, fabrics, cash, pesos, shekels, stock, real estate or whatever else. They are stewards of God’s material blessings. That means they share a portion of what they have for the benefit of the whole community. Predecessors of plenty inspire us to make spiritual gifts to God. The congregation of Israel had plenty of spiritual gifts. 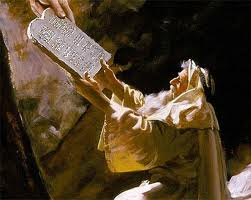 Bezalel was endowed by God, Moses says, with divine spirit, with skill and knowledge of every kind of craft. He and Oholiab were master artisans who offered spiritual gifts for the building of the sanctuary. These were their service pledges. We have plenty of Bezalels (Beau) and Oholiabs (Ollie) who sit in the pews. 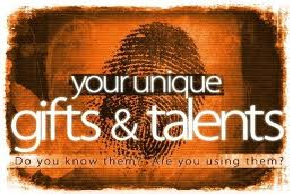 We couldn’t do church without their spiritual gifts; any more than we could have church without their material gifts. Our material gifts provide buildings, furnishings, curriculum, hymnals, instruments, bulletins, heating, cooling, the communion bread we eat and the coffee we drink. We’re grateful for every monetary gift. We’re equally grateful for the plentiful ways you offer yourself to make every Sunday a miracle of biblical proportions. Church happens by those who come early and stay late-teachers, ushers, greeters, singers, instrumentalists, and prayer warriors. We rob God in the same way when we withhold our tithe if we are not offering ourselves in service. God has given us plenty of knowledge and skills shared each week. Pray about your pledge! Predecessors of plenty hearts are stirred. No matter how straight we are with each other about our responsibilities to God and church; no one should be shamed into giving. This pastor will not be party to a spiritual shakedown. Apologies to James Bond, our hearts have to be stirred, not shaken in the work of the Lord. We don’t threaten; we allow the Holy Spirit to show us all the ways God shower gifts all around, until eyes are opened and we see we have all we need. God woos us with love, so we might see our lives are filled with bounty, rather strong-arm us into submission. Love keeps on after duty. These are scary financial times. You can give more reasons not to give, than I can give to give. I don’t fool myself into thinking if we put together a flawless stewardship campaign with bang up sermons the church will be flush. You will not be generous because I ask; that job is above my pay grade. God’s Spirit must stir hearts so people feel the need to give is greater than the need for the church to receive. 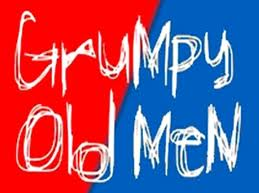 I point you to our predecessors of plenty, who believe God extravagantly gave them more than they deserved. I direct your attention those who generously offered spiritual and material gifts because their hearts were stirred. I pray my heart along with yours will be stirred by the plenty in our lives that comes from the hand of a generous God. The Puritan, Cotton Mather, noted a peculiar trait of bees. 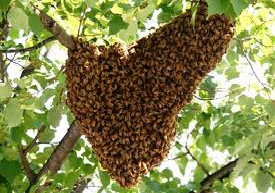 It seems every swarm has its own scent. The conflicting smells trigger a fight when different swarms meet. This is true, except for one time of year. When the bees are pollinating plants, they are covered in pollen nectar, which masks the smell of the individual groups. There is no competition and they can get their work done cooperatively when they all smell the same. We know the difference between working with a group of people bathed in the sweet nectar of God’s grace and people that sniff each other to determine whether they are suitable. We fray the bonds of fellowship when we constantly harp on what is different between us instead of what is common to us. Worse, the work of gospel pollination is threatened. Acts 4 portrays an alternative vision when the early church was bathed in sweet nectar of God’s grace. They held things in common, no one claimed private ownership, many sold lands, laid proceeds at the apostles feet, distributed to those in need, and not a needy person,. Luke points to the kind of church, which we can aspire. This was only true of the church inJerusalem in its earliest days. They did not keep it together any more than we. As the church grew, some of this spirit waned. Throughout the ages the Spirit has led people of the church to hold things in common. Any time this spirit is present, the church held two things in common. I want to consider these two things as we reconsider the holy habit of stewardship. They held in common a common possession of their faith. 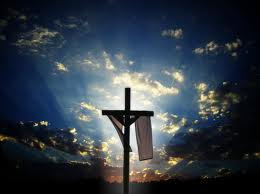 They had professed their faith in Christ and were possessed by a common Spirit. Luke wrote, “They were of one heart and soul.” The fellowship is based upon a common faith experience with the Spirit of Christ which claims us at our baptism. We hold this spirit in common with all who call on the name of Christ and live in the legacy of faithfulness that motivates us to be faithful. Having a common faith experience is not the same as having the same experience of faith. We each have our own story, thoughts, emotions, and life events that shape our faith experience. We don’t squeeze everyone into the same experience so we might share a common faith. Some are more intellectual, drawn to Christ’s wisdom. Some are more intuitive, drawn to Christ’s unconditional love. Some are more practical, drawn to Christ’s teachings. Some are more ethically minded, drawn to justice embodied by Christ. Some are more relational, drawn to the reconciliation Christ offers. Some are more aesthetic, drawn to the beauty of Christ. One experience is not more right and another experience wrong. Theology strengthens, not weakens community. It pulls us to the center than push us to the fringes. We set ourselves up as authorities over others when we add nuances as tests of fellowship to the common possession of the Spirit of Christ. People can find as much error in us, as we in them. Christians are at our best when we live our theology in humble service to others, rather than use our olfactory skills to smell out others differences. In the church, some are passionate about prayer, some study, some music, some stewardship, some missions and some social justice. Rather than set up tests which to measure others; we should simply practice our faith the way that is most meaningful, and thank God for those who practice their same faith in other ways. A healthy church is covered in the sweet nectar of God’s grace as the Spirit of Christ possesses all who profess Christ. The love a couple exudes at a wedding is inspiring. They are covered with the sweet nectar of love. They aren’t blind to their differences; they just don’t have a nose for them yet. After a few years, they are able to sniff out those peculiarities and possibly take their common love for granted. The grace of their love will remain if they can always appreciate the unique gift each of them brings to the other’s life. May it be so in the church! Christ is the center of our faith, not our various views of him. Our common profession of faith in Christ brings about a Spirit that unites. We ought to strive to widen the circle sharing this common possession by being Christ’s witnesses in our world by the way we serve others. A reconsideration of the holy habit of stewardship starts with the understanding of our common possession of the same spirit before speaking of our common possessions. They held common possessions in common. When we hold this common possession of faith we are naturally led to a common possession of possessions. There was not a needy person among them, Luke says. They considered their lives and fortunes joined to one another. This is not state-coerced communism; but Spirit-induced community. The most important common possession is each other. We need each other, so no one is needy. A healthy church takes care of member and stranger alike. We do that well most of the time. But, for all the stories of support, there are stories of neglect. Ultimately, I’m responsible; the paid minister is not the answer. 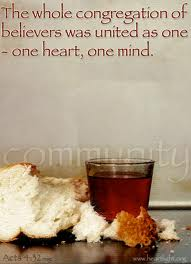 We capture the spirit of our common faith, when each person ministers to a person(s). We call when we’ve not seen someone after a while. Those calls are appreciated and often a person needs someone to know what has been keeping them away. 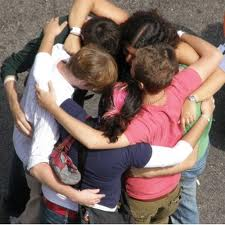 Holding each other in common involves common things: casseroles, notes, hugs, a word spoken or an ear to listen. It starts with the willingness to hold things in common with one another because of our common faith in Christ. The essential common possession is our material goods. The cultural model of success through acquisition of goods that distinguishes persons from others stands in stark contrast to this model of generosity. We don’t make such distinctions. We can’t claim ownership and do as we please with of what we have for ourselves. It all belongs to God; we are God’s stewards. 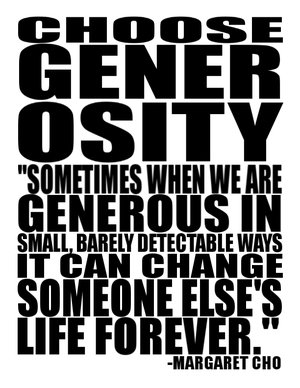 We are to be equally generous, regardless how many dollars we have in the bank. So, we offer an equal gift based on the percentage of our income. Our worth is determined how generous we are with what we have. Sharing the common possessions of our material goods is possible when we are connected by the common possession of the Spirit of Christ. Stewardship campaign starts next week. We want to raise nearly a million dollars in pledges for the coming year to be a better witness for Christ. We hope FUMC can have a greater impact on our community. We are laying the foundation of common faith before pledging common possessions. We will better ready to pledge our common possessions if we believe we’re equally yoked by our one faith to our one Lord and to each other. We can name those at FUMC who have incarnated the spirit of Acts 4 in their stewardship. They gave sacrificially during campaigns and at times when no one asked. Some reevaluated rainy day money. Some gave estates in return for income for the rest of their lives. Some sold property, stock, or have foregone personal luxuries. They gave generously; not out of duty, not for tax deductions, and not for personal or social advancement. They had compassion on others and want to allow God to increase their witness with their substance. They believed if they make their resources available, God’s Spirit could do with them what they could not do. All of us want to be part of a church bathed in the sweet nectar of grace. When that happens we will be holding the Spirit of Christ in common with each other ready and willing to hold in common our possessions. Acts 4 church is possible if we will reconsider the holy habit of stewardship. Continue to grow in our ability to offer purposeful worship.-The priority that will claim my time each week is to strive to provide a worship experience that purposeful. Those planning worship will be clear regarding their objectives and outcomes each week. Each worship service is intended to be part of the whole. I will seek to discern what themes God desires for us to be talking about in the next 1-3 years. Therefore, what we unfold in worship will not only be seeking to accomplish an immediate purpose, but also a longer term purpose of the call of God upon FUMC, Irving. I refuse to just gather each week and not have a sense of why we are gathering. We will be purposeful people; seeking God’s blessing on our worship that compels us to serve. Introduce missional evangelism by providing incarnate examples to a growing number of the people of FUMC, Irving.– Many of you can tell stories of our changing neighborhood over the recent decades. We are acutely aware Jesus calls us to reach our neighbors. Therefore, reaching our neighbors in the 21st century requires a different response than in the 20th century. The mandate to share the good news with neighbor has not changed, this is the evangelistic task. The 21st century requires us to tell the good news in 21st century ways. Missional evangelism is the way forward. This means employing ourselves as servants among our neighbors. I will lead us to investigate, experiment, and plunge into ways we can show the love of Christ to our neighbors inIrving,Texas. This is what makes my heart beat. I pray your heart will be stirred by my leading us toward being missional evangelists for Christ. Initiate a holy conversation among key leaders and those who can enable us to better hear the call of God.-We have been having a holy conversation asking ourselves personally what God is calling “me” to do in the next three-five years. I will want to shift that holy conversation to what God is calling “FUMC” to do in the next three to five years. Holy conversations involve three primary characters-God, neighbor, and us. Thus, the reframed question is what God is calling us to do about serving our neighbor. Hold me accountable if most of my time is planning purposeful worship for those of us inside the walls of this church at the expense of not investing significant time into serving outside the walls of the church. I will start this Holy Conversation with our key leaders during three Wednesday sessions, November 2, 9, 16 at 5:45 p.m. We will spend these three weeks talking about the principles of having a holy conversation. This time together can be a good launching pad to propel us toward 2012. Each these focuses will be spelled out to SPRC with measurable outcomes that can be evaluated throughout the course of the year. I take serious I am to produce fruit in the garden. Pray for me as I offer myself to serving our gracious God, our not yet reached neighbors, and you, our faithful missioners seeking to serve God and neighbor together at FUMC, Irving. Allow me to say thanks again. All gifts are undeserved, and serving this place fits my call. Those I serve are undeserved gifts. I want to specifically thank each staff member who labor (believe me they labor) beside me each day. The synergy we have experienced together is not only remarkable, but miraculous. I thank the key chair people I have worked closely beside in these initial months. They have made this transition not only easier, but possible. Again, I personally thank Kathy Minturn, who has done a “yeo-woman’s” job in navigating this transition. I could spell out names for the next half hour of people who have grown to mean something dear to me. 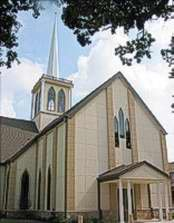 I will not take the time, so I am left with a simple word of gratitude: Thanks for the privilege of being the pastor of FUMC, Irving. I pray my offering of service to you comes near my feelings of gratitude toward you. Come Holy Spirit, Come! 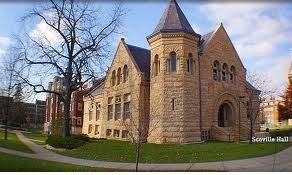 “The first decade of the twentieth first century was one of highs and lows for U.S. congregations. In the wake of the tragedy of 9/11, many more people went to church for the next five Sundays or so. Then the numbers turned downward. 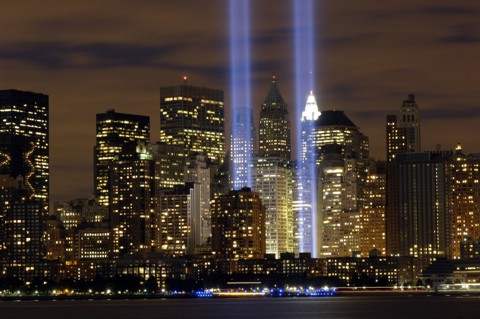 If 9/11 and its aftermath shaped much of the external environment in the early years of the decade, an economic recession shaped much of the latter years. Most churches now recognize that congregational life and practices in the current century will need to be more than incremental improvements on what worked in the past. Major cultural and generational shifts are occurring. In this new context, church leaders are more confident in their knowledge of the dying edges that are passing away than they are of the living edges in which God is moving in this new day. The common 21st century challenge for churches across all sizes, regions, and traditions is to reach more people, younger people, and more diverse people. The people God has given us in the U.S. in the 21st century are more numerous, younger, and more diverse than in the past, while our churches overall continue to become smaller and older, as well as much less diverse than their communities. This guy helped us think about how we enter into and think about worship. Who has placed a child in a college where you no longer have any real say? You pray they will instinctively make good decisions because they’ve been immersed in family nurture. You have done your job; the rest is up to them. I feel that way each Sunday at the time of benediction; sending you out to witness to your faith. I pray the worship experience we offered you inspires to be a witness and tell salvation’s story to others. I think we do that well. It takes more than worship to enable people to be a witness. The church must also provide a system of nurture that equips you to witness to the power of Christ’s saving work. Organizational demands, institutional necessities, and theological minutia can cause us to lose the simple focus of faith. A church can lose its soul when acting on simple faith is no longer the norm. I want us to be the kind church that enables you to hear the cacophony of injustices and hurts; and then to offer yourselves freely in complete trust as Christ’s servants to our hurting world. Persons will go places they never thought they would go if their church is nurturing them into servant disciples. Today we reconsider the processes that nurture disciples. Peter and John encounter a lame beggar at the Beautiful Gate. Peter says, “I have no money, but I give you something else. Get up and walk.” The man got up and walked. We see Jesus’ disciples demonstrating bold faith in their new community. They are living like they believe the kingdom of God has come and God’s reign is happening. They experience Christ’s power by acting on their faith. They experienced resurrection power when they went beyond their current knowledge and previous faith and act on this faith of the kingdom’s promises. We will live like the kingdom of God has come here on earth as it is in heaven when we are carefully nurtured by an authentic fellowship and devoted to life changing discipleship. 1. An authentic fellowship activates faith. During Christendom, persons did not have to learn how to be a Christian it was passed down by culture. A soul was decay proof upon drinking the fluoridated baptismal waters of Christian culture. Christians codified values, celebrated faith in festivals, and promoted spiritual growth in the society. Lest we’re tempted to romanticize; the church was swallowed up by Roman culture. The faithful lost their identity and had no unique witness to offer. Loss of boundary meant over time there was nothing distinguishing about the fellowship of the church. We are to differentiate our nurture in the fellowship from care in our culture.ked. We see Jesus’ disciples demonstrating bold faith in their new community. They are living like they believe the kingdom of God has come and God’s reign is happening. They experience Christ’s power by acting on their faith. They experienced resurrection power when they went beyond their current knowledge and previous faith and act on this faith of the kingdom’s promises. We will live like the kingdom of God has come here on earth as it is in heaven when we are carefully nurtured by an authentic fellowship and devoted to life changing discipleship. There is an increasing disconnect between the spiritual experiences people have with God and the spiritual experiences they have in the local church. People speak of spirituality in terms of a direct experience with God. They don’t connect those experiences with a church, even if they belong. They assume no one in the fellowship would be interested or able to help interpret such experiences. So they separate personal religious experience from congregational life. They say the church is only interested in their support and attendance, but has no interest in their religious experience. It is time to reconsider the character of our fellowship, so that it is more than a social. Authentic fellowship welcomes all religious yearnings? Authentic fellowship allows personal experiences with God to be brought out into the open. Authentic fellowship provides space for intimate storytelling and encourages members to share those deep experiences with one another. Authentic fellowship is nurtured by spiritual leaders who connect those experiences to a life of faith. Left outside the community, such experiences lead to dysfunctions and pathologies. We are to pay attention to the variety of spiritual experience that come into our fellowship. The holy habit of fellowship reconsidered allow for people to bring spiritual experiences into the fellowship so they may be understood. This enables people will take a leap of faith in their own lives and in there service to others. 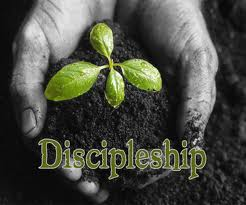 Life changing discipleship activates faith. Peter had at his disposal the words and images of Jesus he had learned when he encountered this lame beggar. Knowing the faith empowered him to change this man’s life. Life changing discipleship activates faith when the scriptures and stories of our faith are known and come to life. The words of the psalms and the stories of Jesus flow throughout the ordinary current of our life together. When people are grounded and know how to dialogue with the stories of the faith they are more likely to act boldly in their faith. -Standards for spiritual leadership. Spiritual leaders are to be set apart by expectations of spiritual growth, which they’re held accountable. -An extreme makeover of children and student discipleship offerings. Our lackadaisical approach is jeopardizing the future of the transmission of the faith to the next generation. -To create entry points for newcomers, providing process that leads people through conversion experiences. An outsider will have no desire belong if we do not meet them where they are. -To support people in life-crises. People are turning to programs like: AA, Parents without Partners, and others, outside the church. The congregational menu must address human need or people will find other places that help them deal with the tensions of their lives. The reconsideration of the holy habit of nurture will cause to address real needs in the context of the new patterns of life. Authentic fellowship and life changing discipleship stimulates people to act as citizens of the kingdom of God. The stronger these functions, the more likely the people will be active witnesses in the community. 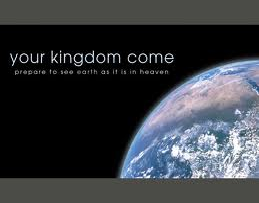 Effectiveness is measured by the number of people living as if the kingdom of God has already come among them. This happens when the church is a place where people stories (authentic fellowship) intersect with faith stories (life changing discipleship). Let me make the call is clear. We need spiritual leaders who know the story and offer it in such compelling ways, new and old are inspired and informed. Each one of us is engaged with the scriptures or the stories of our faith weekly. 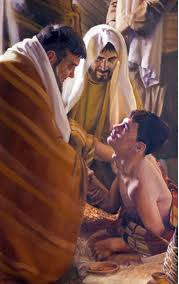 The holy habit of nurture reconsidered call us to order our life so we are equipping people to act on their faith in serving others as Peter and John did when they encountered the blind beggar at the Gate called Beautiful. When I send you out inspired by worship, don’t wait till next week to get inspired again. Seek places of nurture by connecting yourself to an authentic fellowship and devoting yourself to life changing discipleship so you might be a daily witness for Christ in all walks of your life.